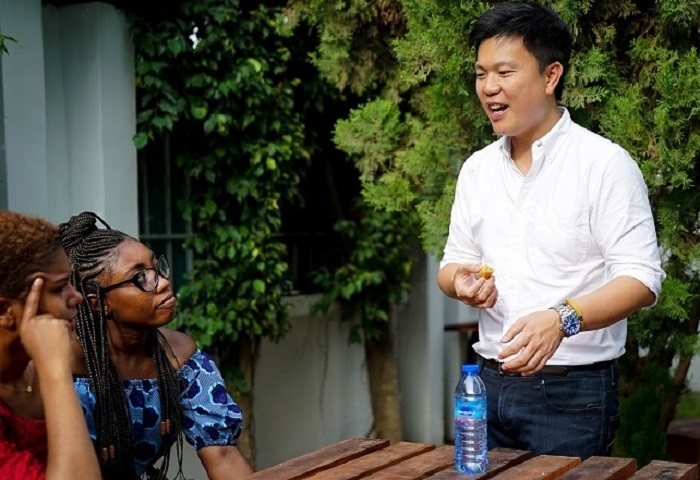 Aaron Fu, the new managing director (MD) of pan-African entrepreneurial training programme, seed fund and incubator Meltwater Entrepreneurial School of Technology (MEST), has big plans for the Ghana-based organisation. Disrupt Africa reported earlier this month MEST, which is doubling down on its efforts to expand across the continent, had appointed Nest managing partner for Africa Fu as its new MD, saying he would bring significant experience in the African technology, investment and startup landscape to the organisation. We caught up with Fu to discuss his happiness at the appointment and his plans for the future. Disrupt Africa: What is your reaction upon being appointed MD of MEST? Aaron Fu: Thrilled and humbled for sure! After building companies and products, moving to Nest, to the accelerator, ecosystem and investing side, I’m thrilled to be heading “back to the kitchen”, a kitchen 100 per cent focused on Africa, working closely with MEST’s portfolio of startups across e-commerce, media, fintech, agritech and many more sectors. Jorn and the MEST team have built something truly incredible over the last nine years and I’m humbled to be co-authoring our next chapter alongside him and the MEST team in Accra, Lagos, Cape Town, London and San Francisco. DA: What does your role entail? AF: One of my first focus areas is to intently scale the impact of MEST in specific African cities and specific components of the startup ecosystem. We started our pan-African journey years ago when the first Nigerian Entrepreneurs-In-Training (EITs) joined MEST. We now have six nationalities represented from all corners of Africa, building tech businesses together in Accra. Because of our pan-African cohort of EITs, the startups that come out of our core training program are also based all across the continent (for example, we have four active startups in Lagos) and we want to continue to work very closely with them as they scale their businesses, regardless of where they are. This is an effort that I will be working closely with the general managers of MEST Incubators to make a reality. DA: Was it a wrench to leave Nest? AF: As any founders who’ve left their startup know, it’s almost always emotional, whether it’s an ecstatic exit, an angry founder split or a bittersweet stepping away. But this really wasn’t a goodbye – I’m just moving across the street! Nest is in fantastic hands and I can’t wait to see the heights that Minhaj Adil and Maurice Otieno will take Nest Innovation and Metta to next in Africa. While at Nest we enjoyed a brilliant partnership with MEST, and with my new appointment, this relationship will only strengthen as we are both organisations that truly believe in active collaboration. DA: What sort of role does MEST play on the African continent? AF: As a startup incubator with strategic hubs across the African continent, our role is to provide an opportunity for aspiring entrepreneurs in Sub-Saharan Africa to receive access to skills training, funding, support and mentorship. Our startups in Ghana have done extremely well, including Asoriba, MeQasa, Tress and Kudobuzz, as well as ClaimSync and mobile chat app Saya Mobile, who have had successful exits. We’re working to expand our pan-African footprint to offer the same level of support, network, access to resources and connections that entrepreneurs can find in the Ghana location to our entrepreneurs in key markets across the continent. DA: What are the expansion plans for the next couple of years? AF: While our headquarters will remain in Ghana, we currently have a presence in five African countries and have EITs in this year’s class from Ghana, Kenya, South Africa, Nigeria, Ivory Coast and even Zimbabwe. As we continue to expand our pan-African presence, we’ll be launching incubator spaces in each of these countries that will offer the same support, resources and network our entrepreneurs have in Ghana. DA: Do you plan to scale up the investment side? AF: That’s something we might look at in the future. DA: You have a background of running corporate accelerators, will this be something MEST starts to do? AF: This is not necessarily the specific route MEST will take in the immediate future, but my background in running corporate accelerators and open innovation, experiencing the potential for startup and corporate collaboration, will enable MEST to continue working even more closely with local, regional and global corporates as well as the investor community in supporting the next generation of African startups, regardless of where they are in their journey. DA: Geographically what countries and regions is MEST looking at? AF: MEST has done such an incredible job in Accra over the past nine years and had built a vibrant and diverse community; so we’re excited about expanding beyond Ghana and concentrating on our pan-African vision. As stated earlier, we are looking to continue forging strong roots while we establish incubators in major cities across the continent. Apart from Ghana, we currently have footprints in Kenya, Nigeria, South Africa and Ivory Coast; we are looking to further strengthen our presence in those countries. We really do have an exciting journey ahead of us!